Maria Contreras, makes pasta of many types from scratch every day at Trattoria Stefano in Downtown Sheboygan, WI. 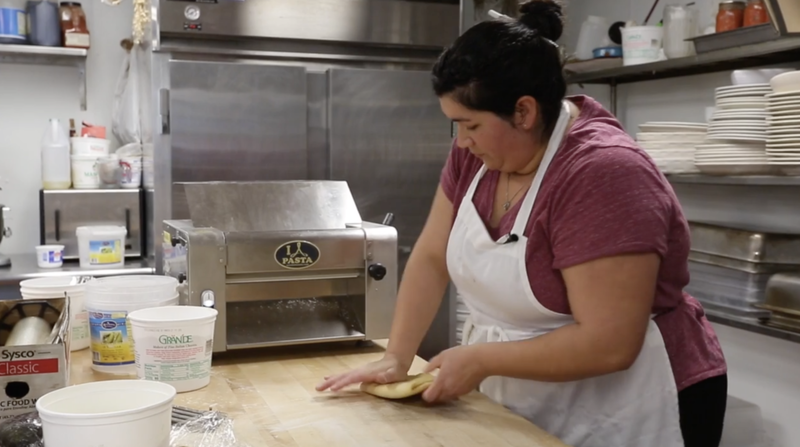 Contreras, who is largely self-taught, is one of the few people statewide whose main job is pasta. Click here to watch how Maria uses an Arcobaleno ASC320 Dough Sheeter for her pasta making! If you’re in the area, stop by for an authentic Italian dish! Trattoria Stefano is a restaurant and bar located in the heart of downtown Sheboygan, Wisconsin. Listed in the Wisconsin Historic Registry, the beautiful brick building was built in 1892.